Everything you need to prime and set a look that lasts all day, just add your favorite foundation. Prime with Water Cloud Primer, set makeup with talc-free Perfect Setting Powder, and lock in 24hr wear with High-Performance Setting Spray. Water Cloud Primer: A cooling mousse primer that refreshes and defends skin against pollution + blue light. High-Performance Setting Spray: This spray weightlessly sets makeup, protects against pollution, and ensures 24 hours of wear without fading, settling, cracking, or discomfort. Prime: Start with Water Cloud Primer to refresh skin and create an ultra-smooth canvas for flawless makeup application while helping to defend against pollution and blue light rays. 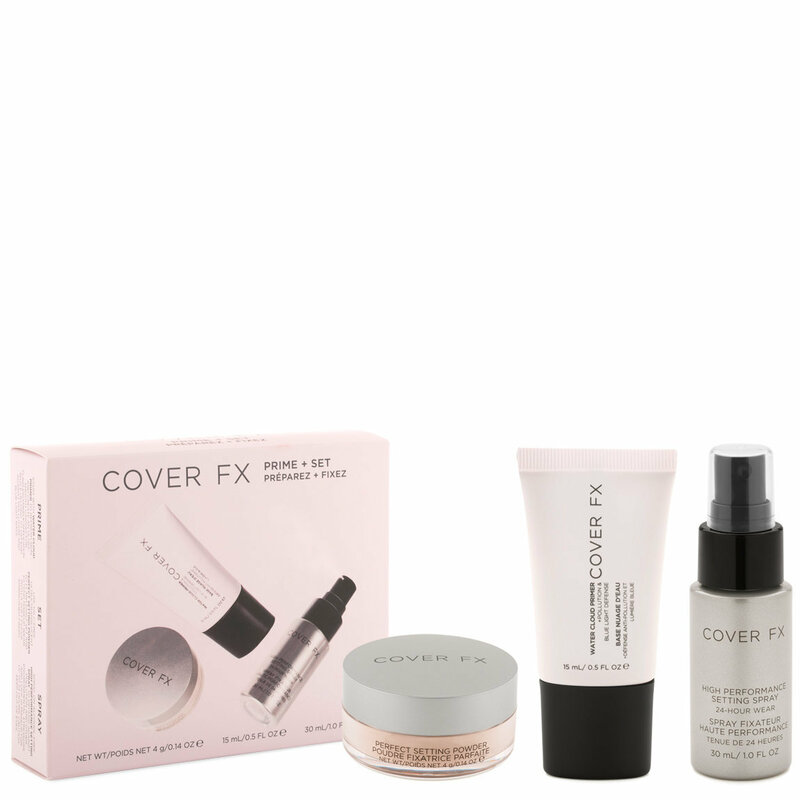 Set: Use talc-free Perfect Setting Powder to flawlessly set and extend makeup wear with a soft focus airbrushed finish. Spray: Spray on alcohol-free High-Performance Setting Spray to defend against pollution and other environmental stressors and lock in makeup for up to 24 hours. Caution: Keep out of eyes.